As adults, making connections when reading is something that happens naturally. We are constantly making meaning from text by referring back to what we already know. Our students may be experiencing something entirely different. They may be struggling to comprehend what they read because they are having a hard time connecting it to a concrete idea or experience. Making text connections is an active reading strategy that, when applied with differentiation and scaffolding, can lead to an increase in reading comprehension. There are three levels of text connections that students can make when reading new texts: text-to-self, text-to-text, and text-to-world. Each connection type is briefly explained below followed by an implementation strategy and graphic organizer to use with your students. Text to self refers to connections made between the text and the reader’s personal experience. The reader may connect ideas or situations presented in the text with their thoughts, past travels, family members, or friends. Connecting the text to themselves will give readers insight into what a character might be feeling or how an idea came to light. Text to self connections enable readers to utilize first-hand knowledge for a more memorable and meaningful reading experience. Text to text refers to connections made between a text being read and a text previously read. Before making text to text connections, students may need time to consider what they have read in the past. They may connect big ideas, topics, themes, or characters to something they have already studied. Doing this will provide them with a deeper pool of knowledge from which to draw from when making meaning of a text as they read. Text to text connections also help struggling readers to remember what they read and formulate questions for what they don’t understand. Text to world refers to connections made between a text being read and something that occurs in the world. Because learning does not happen in a vacuum, everything is relatable in some form or another. Connecting the text to current events, historical circumstances, or pop-culture may help a student focus and avoid boredom. If the text topic is new or relatively obscure, it may be helpful to front-load students with specific topic information before reading. The ability to make meaningful text connections is a skill that must be taught. It is extremely important to model for students how to make meaningful connections. Find a short section of text to read aloud to your students. As you are reading, pause to explain your thought process so students get a good idea of the connections you are making while you read. 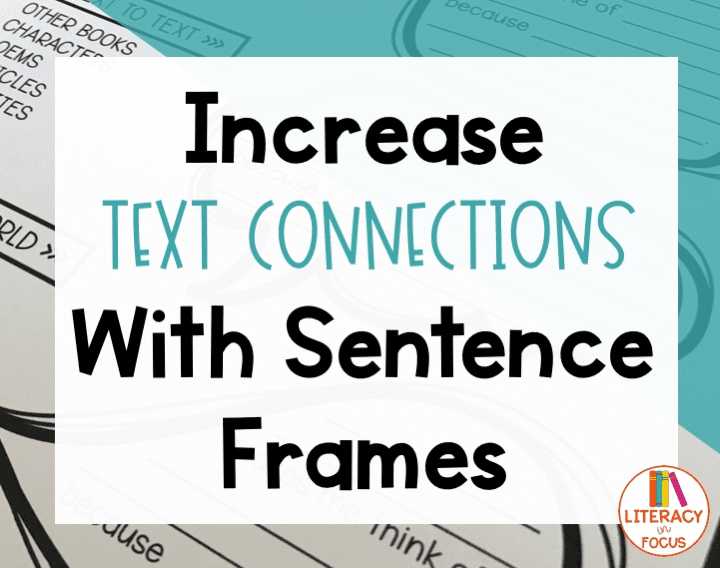 Additionally, scaffolding the text-connection steps with a graphic organizer and sentence frames will help students build a strong foundation for making connections while reading. In time, students will be able to make authentic connections when reading independently. 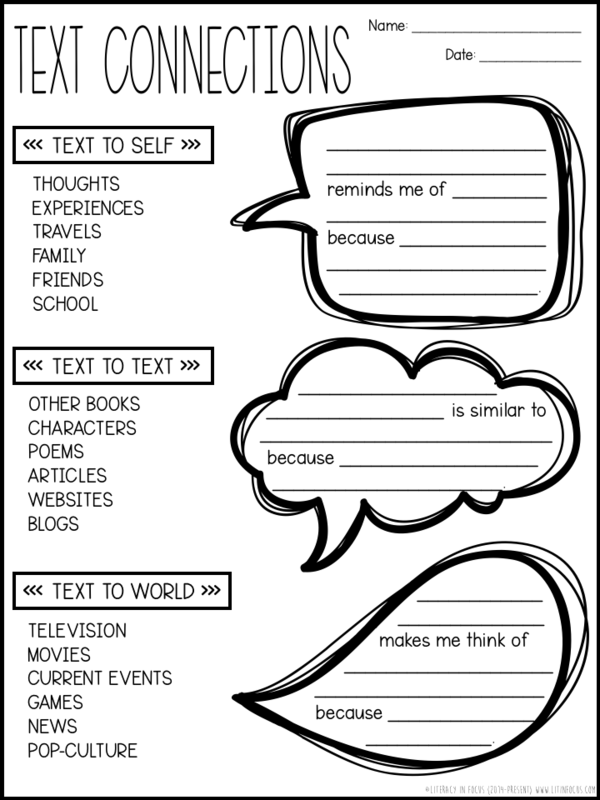 CLICK HERE TO DOWNLOAD THE FREE TEXT CONNECTIONS GRAPHIC ORGANIZER! -How do you support text connections in your classroom? 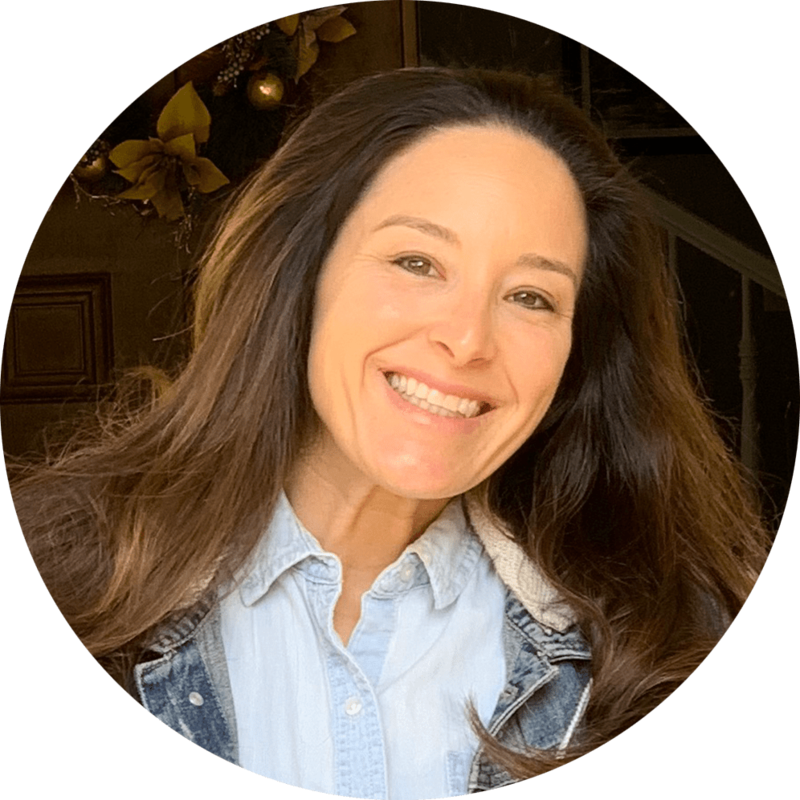 -Do you find one type of connection is easier for students than the others? If so, why do you think that’s the case? Success! The Text Connections Graphic Organizer is in your inbox!